Efter närmare 30 år i branschen är LGA Transportservice idag ett väletablerat och ansett åkeri som arbetar över hela Stor-Stockholm. Vi erbjuder ett heltäckande utbud av transportlösningar med fordon som är effektiva och specialanpassade för sina uppgifter och vi har framför allt en mycket hög kompetens inom höga lyft och tunga transporter. Vår affärsidé är att vara en pålitligt samverkanspartner, där kunden alltid skall få den optimala transportlösningen utifrån sina önskemål. Vid behov upprättar vi även TA-planer. Tack vare våra mycket erfarna chaufförer och vår vagnpark på trettiotalet fordon kan vi enkelt och utan dröjsmål för kunden utföra de arbeten som vi tagit på oss - vi har i stort sett alltid en maskin med chaufför att sätta in vid behov. 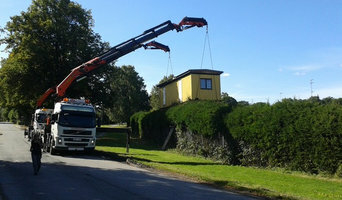 Vår fordonspark består av kranväxlare och kranbilar från 15 tonmeter upp till 92 tonmeter med en räckvidd på 40 m, men också av brädgårdsbilar och budbilar. Det har genom åren blivit allt viktigare att arbeta med miljöfrågor, både i vår egen verksamhet men också för att uppfylla kraven från våra kunder. Tack vare vår fordonspark kan vi hela tiden verka för att lägga rätt gods på rätt fordon för att på så sätt både optimera leveranstider och minimera miljöpåverkan. Idag är hela vår fordonspark av god miljöstandard. Hur vi är annorlunda. Kakelplattan erbjuder ett brett sortiment av badrum till så låga priser att så många som möjligt ska ha råd att köpa dem. Det är kärnan i allt som Kakelplattan gör, från fabrik och inköp till hur vi säljer våra produkter i hela Sverige. Vem som helst kan göra en produkt med hög kvalitet till ett högt pris, eller en produkt med låg kvalitet till ett lågt pris. Men att erbjuda bra produkter till låga priser är inte lika enkelt. Då måste man tänka och hitta lösningar som både sparar pengar och är annorlunda. Det har varit Kakelplattan:s fokus sedan företaget startades i Karlstad. Genom att köpa in stora mängder och satsa på tidlösa produkter efter människors behov och önskningar kan vi hålla kostnaderna låga. Intrim Architectural Mouldings and Profiles is committed to producing quality timber mouldings and profiles to suit small to large projects of distinction. Make your interior SPECTACULAR with our wide selection of precision timber moulding profiles. Select from our range of: - Architraves and skirting boards - Timber mouldings - Timber handrails - Shadowline skirting system Whether your project is of a modern, colonial, contemporary, Victorian or traditional heritage design, Intrim has a period moulding profile to suit your design. Over the past decade, Intrim has experienced rapid growth and acceptance in the market place thanks to our reputation of quality products, supplying residential projects right through to luxury apartment and commercial buildings. 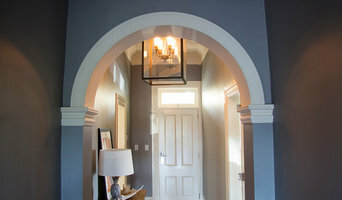 Architectural mouldings are something that can be the difference between décor success and disaster so it is important getting a team that have the confidence and skill to get the job done. Contact Intrim today on 1800 622 081 and find the quality decorative timber mouldings you need to finish your project the way you want. Trestlewood specializes in beautiful, distinctive wood with a history. Major product lines include antique wood flooring, reclaimed timbers, barnwood, reclaimed siding, lumber, mantels and much more. We love reclaimed wood. March, 2013, marked the 20 year anniversary of Trestlewood's entry into the reclaimed wood arena. There was nothing gradual about this entry - we kicked things off by acquiring the salvage rights to the greater than 20 million board feet of timbers, lumber and logs in the Great Salt Lake's Lucin Cutoff Railroad Trestle (see The Trestlewood Story.) 20 years later, the trestle, while still the single largest source of Trestlewood products, accounts for less than 25% of our sales. Trestlewood has had the privilege of working with over 50 million board feet of reclaimed lumber, timbers and logs from a wide variety of sources (and involving a wide range of species, dimensions and other characteristics.) What is so good about reclaimed wood? For the sake of brevity, we have condensed our answer to this question into a Top 10 list: Top 10 Reasons We Love Reclaimed Wood. Trestlewood also offers NatureAged, Harbor Fir and other product lines that are manufactured from new lumber to provide a reclaimed wood look and many of the other advantages of antique wood products. These manufactured products can provide attractive alternatives or supplements to reclaimed lumber, flooring and timber products. (See When to Consider Our Reclaimed Wood Alternatives.) Trestlewood reclaimed wood products have been used throughout the United States (in 47 of 50 states!) and in several other countries. Click on the following links to see photos of Trestlewood products at use in some states in which they have been especially popular: Arizona, California, Colorado, Idaho, Montana, Nevada, New Mexico, Texas, Utah and Wyoming. Eco Outdoor specializes in the supply of innovative and unique exterior surface treatments for residential and commercial projects. When it comes to external surface treatments, we’re committed to leading the market with innovative, natural and considered design solutions. Our ability to source, buy and develop a truly unique product range is second to none. Harvest Timber Specialty Products is a bespoke specialty wood provider of Eco-friendly sidings, beams and reclaimed timbers. Our team has helped to generate a new category of environmental sustainable in that we claim unused, unwanted virgin standing dead (or dying) timber that otherwise would be carbon released into the atmosphere. Windswept Weathered Wood boards, sidings and timbers adds style, sophistication and practicality to what designers have long called for a reclaimed appearance with the stability and structural integrity of new wood backed by industry associations, and at nearly half the investment of reclaimed woods with minimal waste. This combined with our warm Eco-Story allows a fresh environmental chronicle. Our Windswept Weathered Wood Series services a wide variety of architectural spaces for both interior and exterior applications for residential and commercial purposes. Most orders are custom to project specifications but we now boast a modest inventory for just in time orders in our most popular colors selections. Our Reclaimed Timber selection offers a wide variety of species and sizing capabilities that include: Douglas fir, Redwood, mixed hardwoods, along with white pine & conifers. 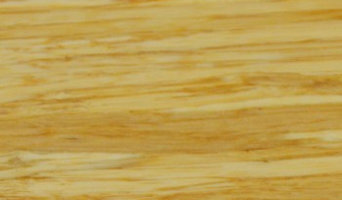 These remarkable vintage, historic timbers increase value and integrity to any project scope. Windswept Weathered Wood is crafted by utilizing standing dead or dying beetle-kill tress from the Colorado Rocky Mountain regions. These same trees are the exact cause of wildfires in this region. Until now, there these trees have simply fallen victim to forest fire and horrendous detriment. Claiming these unwanted trees is an environmental wonder and a champion of pure sustainability. I entered the lumber business right out of college from the Universality of South Carolina in 1981 and never turned back. Prior to founding Harvest Timber Specialty Products back in 1994, I worked for several wholesale lumber distribution companies that taught me the grass roots of the wholesale wood supply chain that included freight logistics at all levels. DoorCorner.com offers quality Renovation Hardware and Home Improvement Hardware including discounted door knobs, door levers, cabinet knobs and handles, and other home hardware. Pac Trim® mouldings is proudly manufactured in North America at our 2 plant locations: Edmonton, AB, Canada, Rocklin, California, USA. Pac Trim® mouldings are coated with PacPrime, our exclusive MDF prime coat for a more durable finish. Ease of use, consistency of profiles and reliable domestic manufacturing are just a few of the things that sets Pac Trim® apart. We focus on customer satisfaction and aspire to be your most-valued partner. We accomplish this with standards of excellence: highest-quality product, unrivaled service, the expertise of dedicated people and a responsibility to environment and community. Our customers’ success is our success. Feeney, Inc. is a leading manufacturer of innovative products that enhance the spaces where people live work, and play. Our CableRail kits provide a beautiful and unobtrusive railing infill alternative on wood, metal, interior or exterior railing frames, and we offer a wide selection of cables and hardware to meet any installation or design condition. Our DesignRail® aluminum railing frame systems combine the durability of aluminum with the innovative design details to ensure lasting beauty, structural integrity, and low maintenance. For 70 years, Feeney has been known for very high quality products as well as superior customer service. we constantly strive to simplify the way our customers work with us and our products. At Feeney, we make it easy. polytec is an Australian marketer and distributor of decorative surfaces dedicated to providing the finest quality products. Across the industry, polytec is recognised for innovation, craftsmanship, customer service and the use of quality materials. In the decorative surfaces category, polytec is the fastest growing brand in Australia and is owned by Borg, a privately owned, Australian company. Hallmark to polytec is the manufacture of products with the most technologically advanced and computer integrated manufacturing systems. Through its manufacturing division, Borg is a leading Australian manufacturer of decorative panels and components for joinery applications such as kitchens, bathrooms, laundries, wardrobes and furniture. Borg manufactured products include: • cabinet doors: MELAMINE, THERMOLAMINATED, ALUMINIUM and CREATEC • decorative board products • BENCH TOPS & laminates A mark of the company’s commitment to Australian manufacturing, is Borg Manufacturing’s three sites in New South Wales. Borg is the leading manufacturer of Thermolaminated cabinet doors in Australia, with a world class production facility in Charmhaven, 15,000sqm warehousing and board facility at Somersby, medium density fibre board manufacturing at Oberon and a high pressure laminate production facility in Malaysia. The polytec business in Australia comprises of 17 distribution and administration centers nationally. We exist to challenge the outdoor living conventions. We're relentlessly focused on improving our products, our industry, and homeowners' lives. We provide you limitless style options so you can create your ultimate outdoor space backed by the industry's best warranties. As our name implies, we use technology to create outdoor living products which look like natural wood but are more sustainable, longer-lasting, and low-maintenance. It’s our belief that homeowners — ranging from those with the highest standards to those searching for an accessible composite option — don’t have to sacrifice their design vision for their perfect outdoor entertaining space. We are TimberTech® and We Go Against the Grain™️.